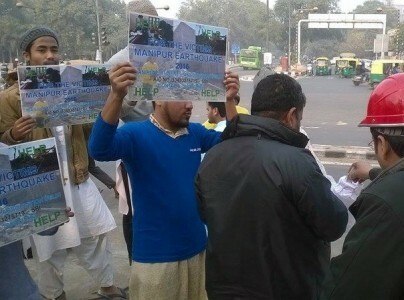 NEW DELHI, January 9: Manipur Students’ Association Delhi (MSAD) had an emergency meeting at DU Garden on January 7 at 1 p.m. and discussed on two main agendas ‘Fund Mobilization for the Victims of Manipur Earthquake’ and ‘Academic awareness programs in whole over Manipur’, said a press release by MSAD. It said, a decision was carried out by MSAD to mobilize funds for the Victims of Manipur Earthquake, and for that cause, MSAD area committee members and College or Universities’ Committee members will mobilize from their respective areas and colleges or Universities. 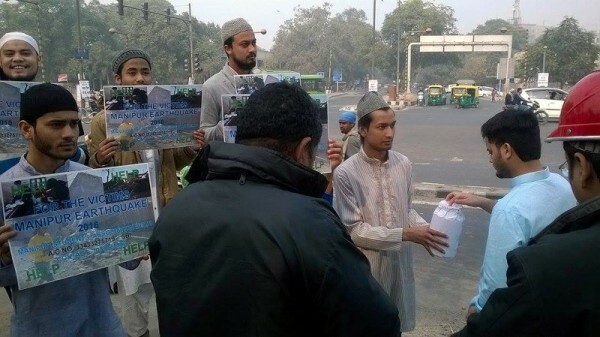 MSAD mobile teams have formed for the mobilization for donation at various places in Delhi and will mobilize donation for the victims in Vijay Nagar, Patel Chest, Delhi University, JNU, Maharani Bagh, Moti Bagh, Jamia Millia Islamia, and each colleges in Delhi University, said the press release. In the press release, MSAD has requested to inform the students’ association if any group of the students want to do fund mobilization in other areas in Delhi besides already given areas. MSAD started fund mobilization for the Victims of Manipur Earthquake from January 8 onwards, and the first round collection started at Mall Road Masjid, Timarpur Masjid and Kingsway Camp, and altogether MSAD collected a total amount of 7006 rupees so far, said the press release.